The Arctic has experienced substantial climate change and during recent decades Arctic climate change and effects thereof have accelerated. This has led to profound effects and impacts on the physical, chemical and biological conditions of the Arctic and is expected to lead to fundamental changes across the Arctic. Climate change and primary and higher-order effects of climate change are a main driver of Arctic change, but it is not the only driver. Other factors (drivers of change) such as, for example, global resource demands, tourism, global transport, fisheries, and economic development also drive change in the Arctic. The different drivers of change are often interrelated and interlinked. In 2011 the Arctic Council directed the Senior Arctic Officials “to review the need for an integrated assessment of multiple drivers of Arctic change as a tool for Indigenous Peoples, Arctic residents, governments and industry to prepare for the future, ………”. This resulted in the project “Adaptation Actions for a Changing Arctic” (AACA). The overall objective of the AACA is to enable more informed, timely and responsive policy and decision making in a rapidly changing Arctic; the project consists of three separate activities. For more information see the AACA information brochure. 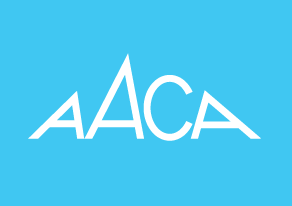 AACA-A was led by Sustainable Development Working Group and is a compilation of assessments and reports prepared by Arctic Council working groups over the past ten year with findings and recommendations that could inform adaptation options and actions. AACA-B was led by Canada and Russia and focuses on the adaptation activities that are being implemented by Arctic Council member states on a national, sub-national, regional and local level. Parts A and B were finalized in 2013. In May 2013 the Arctic Council decided to continue its work on the AACA initiative and requested the AMAP Working Group to “produce information to assist local decision-makers and stakeholders in three pilot regions in developing adaptation tools and strategies to better deal with climate change and other pertinent environmental stressors”. This has resulted in the AACA-C project which will deliver its overall integrated report to the 2017 Arctic Council Ministerial Meeting. 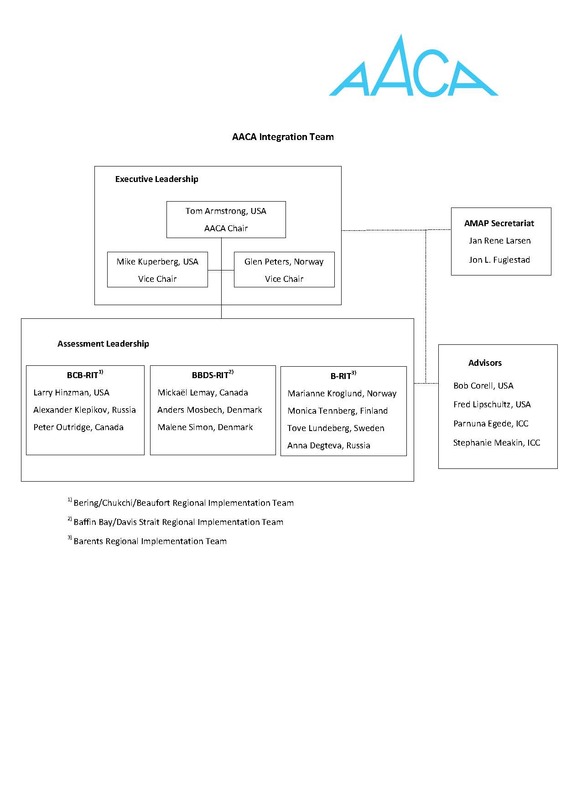 The AACA-C project will cover three pilot regions in the Arctic, the Barents Region, Baffin Bay/Davis Strait Region and Bering/Chukchi/Beaufort Region. All three regions will cover both marine and terrestrial areas. The shaded areas on the map just indicates the region boundaries. The project will be led by AMAP with contributions from and cooperation with the other Arctic Council working groups, permanent participants to the Arctic Council, stakeholders in the three pilot regions and international organizations. The assessments will be performed by international recognized scientists.